Colors! Bricks! So many colored bricks, all coming towards the bottom of the screen! Which do I shoot first? Oh man oh man… oh, right! First things first. Riddle me this, reader: what would happen if you mixed arcade classics like Space Invaders and Tetris, replaced the aliens with colored blocks and made it so that some blow up when shot, or had other unique properties? It’s chaotic, challenging and so much fun! Welcome to HUENISON! Still with me? Alright, I’ll wait until your head stops spinning. All good? Great, back to colored block blasting then! 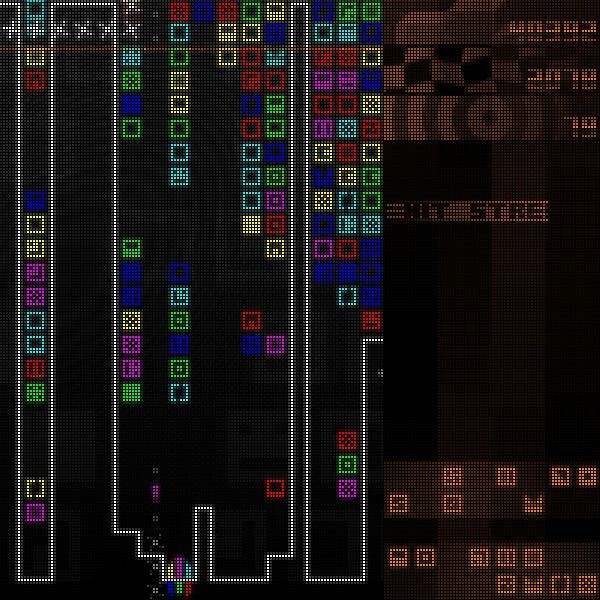 HUENISON is definitely a case of ‘easy to learn, hard to master’, with simple arcade-like mechanics on the surface, but dig a little deeper and you’ll find a complex system that involves rapid color cycling and crazy chain reactions. That’s right, you actually have to match the beam color with the block you’re trying to destroy, or nothing will happen! And with six different colors, let me tell ya, things can (and often will) get quite hectic. Ain’t just about racking up a high score either, as each block that makes it past your ship/turret/mobile cannon takes up permanent residence at the bottom of the screen. Piece of cake, you say? Oh you have no idea how wrong that statement is. See that orange line near the top? Cross it and… KABOOM! Back to level 1. Maybe you’ll rank on the leaderboards, maybe you won’t, but there are no extra lives or second chances in this game. Only way to survive is to be a better shot, which is fine by me. The whole 1UP thing in arcade games is so overrated anyway. Did I mention each missed shot brings the line further down? What was it you said about cake? Huenison takes various elements from Arkanoid, Decathlon, Dyna Blaster, Impossible Mission, Oil’s Well, Pac-Man, Pang, Qix, Slam Tilt, Space Invaders, Tetris and Vital Light, and puts them together in a hectic arcade mix. All in retro visuals and synthetic sonorities that recall the revered Commodore 64’s SID chip. No kidding. Playing this is like going back in time. So far in fact, that I haven’t been born yet (cue Back To The Future theme). But seriously, I like what they’ve done with the design in HUENISON. From the bleeps and blops that make up the sound effects, to the chippy chiptunes and funky CRT filter someone slapped onto the graphics, the retro aesthetic is in full effect here. Oh and speaking of, with that long an ‘inspired by’ list, where’s Centipede? Where, I ask, where? Poor Centipede. Always the one no one remembers, and surely I am not alone in noticing certain similarities (right?). Alright, let’s return to the present for a brief moment. 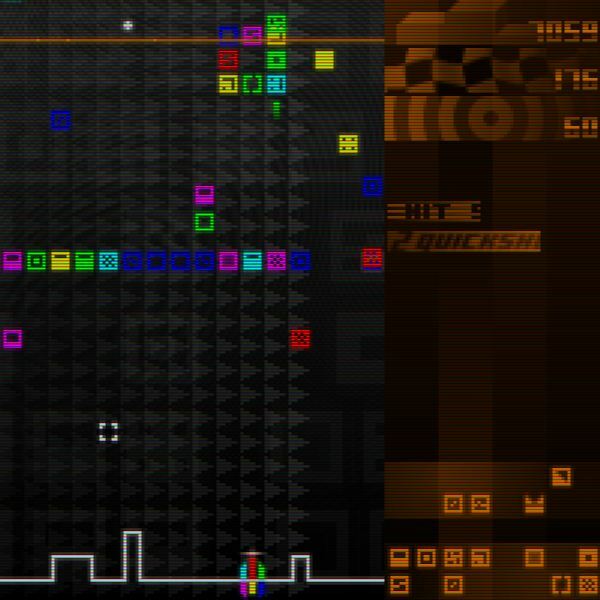 I’ve gone on about HUENISON long enough, so what say you grab the demo and blast some blocks? Or you could drop £2.99 and get the full version, with no any DRM, featuring a total of 25 levels, several boss battles, no less than 9 different game modes and… online highscore submission (if you’re good enough). See ya on the leaderboards!